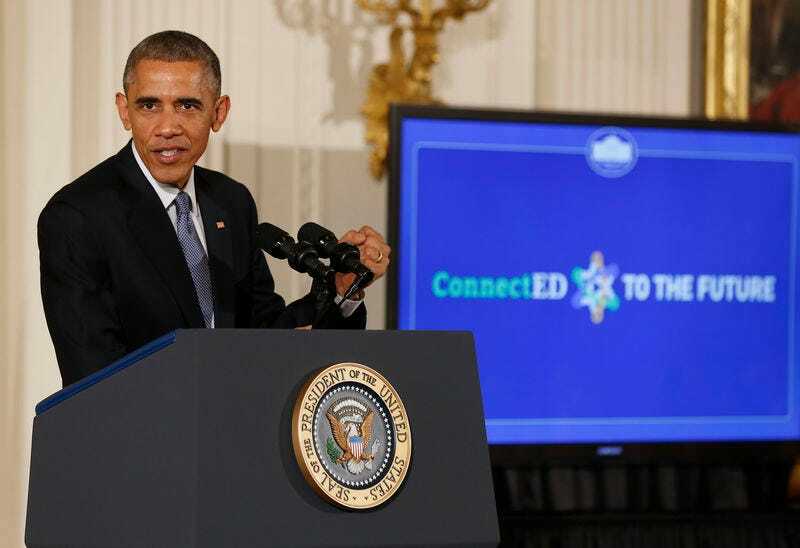 Thomson ReutersUS President Barack Obama at a ‘ConnectED to the Future’ conference with school district supervisors and educators in the East Room of the White House in Washington. Several Democratic senators are uncomfortable with President Barack Obama’s decision to use executive action to make immigration reform, raising the possibility of open, bipartisan resistance to his plan. The senators, most from conservative states, objected to Obama’s unilateral approach, saying on Wednesday that they preferred Congress to take the lead with legislation. Democrats should try again to work with Republicans in Congress to set reforms in law, many said. No Democrats went so far as to say they were ready to break with the president, but several were critical of his go-it-alone approach. Republicans, who after midterm election gains will take control of the Senate in January, have uniformly condemned Obama’s plan to give deportation relief to as many as 5 million undocumented immigrants. They are considering ways to resist. Any defections in Obama’s party would make that resistance bipartisan, further isolating the president and potentially making it even more difficult to pass other items on his agenda. If six or seven Democratic votes in the new Senate joined Republicans, they would have the 60 needed to block the executive order and force Obama into a politically embarrassing veto. The Senate in June 2013 passed a sweeping, bipartisan immigration bill, but the Republican-led House of Representatives did not take it up. Obama said the Republican refusal to move on immigration was forcing his action, to be announced in a televised address on Thursday. Democratic Senator Jon Tester of Montana said he would like to see Congress try again. A spokesman for House Speaker John Boehner said Wednesday that Obama’s executive action would ruin the chances of Congress acting on immigration. Senator Angus King of Maine, an independent who caucuses with Democrats, has been supportive of immigration reform but critical of unilateral action by Obama. A spokesman for King said the senator had conveyed his position to the White House earlier this week. Some Republican conservatives have suggested placing funding restrictions on Obama’s plan in a must-pass government spending bill, which could lead to a government shutdown that Republican leaders have vowed to avoid. Other approaches include passing targeted bills to defund implementation of the order. Republican Senator Lindsey Graham of South Carolina predicted the instinct for “political survival” would force some unhappy Democrats to join Republicans in trying to defund Obama’s executive action. “There will be some Democrats who will join the effort to limit an overreach of executive authority,” Graham said. “Some will be genuinely upset, a lot of it will be political survival, like in purple and red states,” he said, referring to the colours commonly used to designate conservative-leaning and swing states.